The Daily Spurgeon: Enjoy the season - Happy New Year, 2009! I hope your Christmas Day was wonderful and I wanted to let you know that The Daily Spurgeon will be on vacation until after the first of the year. Thanks for your readership and support during the past year - we've been brushing 300 RSS subscribers here and there and I hope you continue to be blessed by these words. 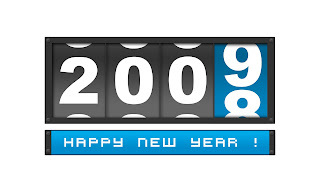 May the Lord bless you all richly in 2009!